Please enjoy reading below three of the ten sections from the Georgia TKES Reference Sheet. TKES is the new teacher evaluation system in Georgia. 2. Instructional Planning -- The teacher demonstrates an understanding of the curriculum, subject content, pedagogical knowledge, and the needs of students by providing relevant learning experiences. • Analyzes and uses student learning data to inform planning. • Develops plans that are clear, logical, sequential, and integrated across the curriculum (e.g., long-term goals, lesson plans, and syllabi). • Plans instruction effectively for content mastery, pacing, and transitions. • Plans for instruction to meet the needs of all students. • Aligns and connects lesson objectives to state and local school district curricula and standards, and student learning needs. • Develops appropriate course, unit, and daily plans, and is able to adapt plans when needed. 3. Instructional Strategies -- The teacher promotes student learning by using research-based instructional strategies relevant to the content to engage students in active learning and to facilitate the students’ acquisition of key knowledge and skills. 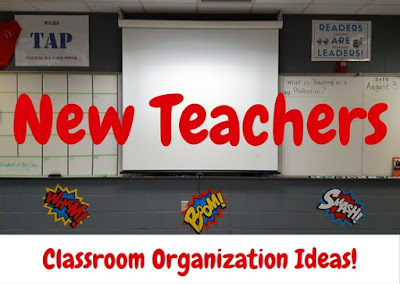 • Engages students in active learning and maintains interest. • Builds upon students’ existing knowledge and skills. • Reinforces learning goals consistently throughout the lesson. • Uses a variety of research-based instructional strategies and resources. • Effectively uses appropriate instructional technology to enhance student learning. • Communicates and presents material clearly, and checks for understanding. • Develops higher-order thinking through questioning and problem-solving activities. • Engages students in authentic learning by providing real-life examples and interdisciplinary connections. 4. Differentiated Instruction -- The teacher challenges and supports each student’s learning by providing appropriate content and developing skills which address individual learning differences. • Differentiates the instructional content, process, product, and learning environment to meet individual developmental needs. • Provides remediation, enrichment, and acceleration to further student understanding of material. • Uses flexible grouping strategies to encourage appropriate peer interaction and to accommodate learning needs/goals. • Uses diagnostic, formative, and summative assessment data to inform instructional modifications for individual students. • Develops critical and creative thinking by providing activities at the appropriate level of challenge for students. • Demonstrates high learning expectations for all students commensurate with their developmental levels. I will begin by emphatically stating that I love teaching, I love my students, and I love my school. I'm even happy with my salary. Students deserve great teachers, and teachers need to be evaluated against professionally developed criteria. Read the attachment that explains all ten of the TKES criteria. My personal goal is to master these areas and I have set several sub-goals this year to improve my teaching. That being said . . .
No one wants to pay us to do this. In order for a teacher to come close to mastery in just the three areas listed above, it would take hours of planning a week. Most teachers have about an hour each day for planning, some a little more, but actual planning time can be consumed with meetings, professional development, parent conferences, or club and sports responsibilities to name a few. Understand me, great teachers do spend hours planning interesting and challenging lessons with a variety of engaging strategies that meet the needs of all students based on formative and summative assessements. But guess what? They do it on their own time. If systems want their teachers to improve instructional planning, lesson delivery and differentiation, they must address the amount of time teachers spend with children a day versus the amount of time spent collaborating with colleagues and developing professionally. 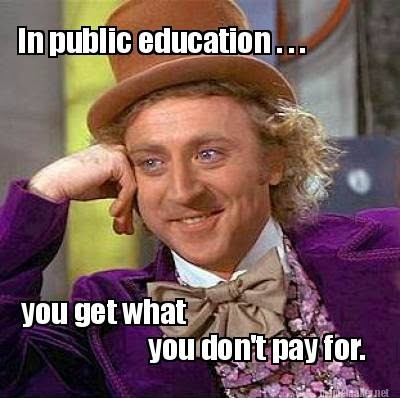 Remember, you get what you pay for, but when it comes to education, you usually get what you don't pay for.